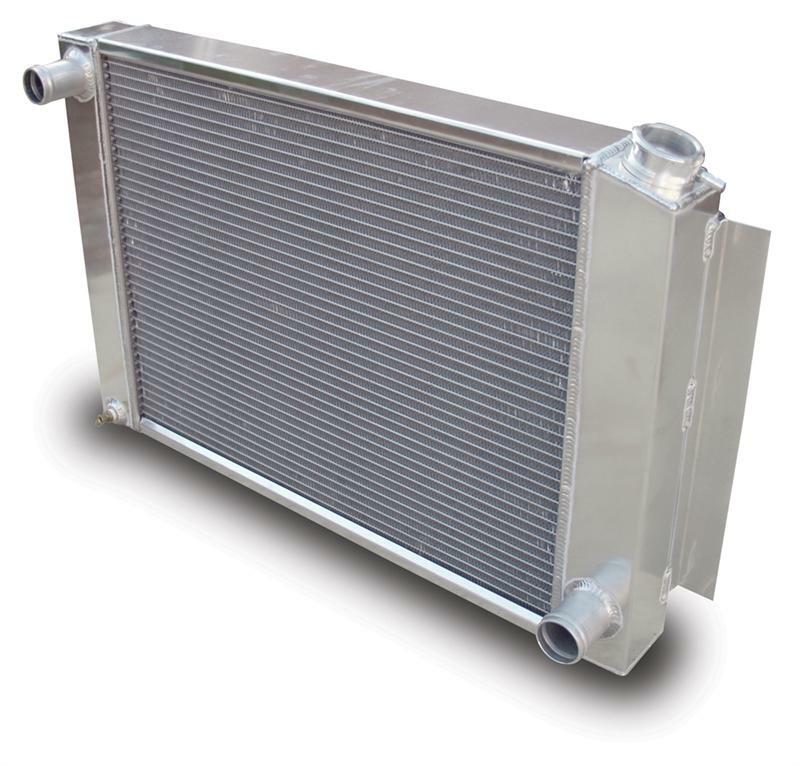 Your radiator serves the vital role of cooling your engine. While the engine is running, extreme heat is created by the friction of moving parts inside the engine, combined with the combustion process. Engine coolant circulates through a series of channels in your engine, absorbing excessive heat and carrying it away to the radiator. The hot coolant runs through thin tubes in the radiator core, where air passes through and dissipates much of the heat. 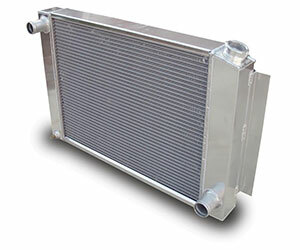 Many radiators also serve as a cooler for the transmission fluid. In much the same way as the engine coolant, transmission fluid circulates through part of the radiator to cool the fluid, preventing heat from damaging the transmission. Heat is your engine's enemy and must be carefully controlled. The ideal engine temperature is controlled with a thermostat that regulates the coolant flow to the radiator for optimal running temperature to be maintained. If the radiator can't perform its function of removing heat from the coolant, your engine temperature will skyrocket and your engine can overheat. This can mean expensive repairs, including head gasket replacement, internal bearing failure, or even a complete engine rebuild or replacement. If your vehicle needs radiator repair, it's best to have this completed right away. If left unattended, a leaking or plugged radiator can contribute to major problems that will quickly get worse with time. The longer a radiator repair is ignored, the greater the chances for bigger problems down the road. At Babcock Auto Care, you can always count on receiving top-notch customer service in every interaction. What's more, rest assured that your radiator repairs will be completed by honest, ASE-Certified Master Technicians. Whether your radiator needs to be replaced, the water pump or heater core are leaking, or a radiator repair will do, you can be confident that the highest-quality parts and industry-standard repair procedures will be employed. All radiator repairs, radiator replacements, and other cooling system repairs are backed by the best warranty in the business at Babcock Auto Care.